In Pursuit of My Own Library: Cover Reveal Sunday! While some of these may be old news to many, I apologize. Halloween is approaching and it is my favorite holiday. I easily get sidetracked at this time of year in all things pumpkin and costume-y. I also very brilliant news I look forward to sharing next week! So please check back with me then and accept my profuse apologies for being absent. It will be getting more frequent in the future. The first of my cover releases that I am excited for in the new year belongs to Rod Duncan with the third in his Fall of the Gas-Lit Empire series releasing in February. 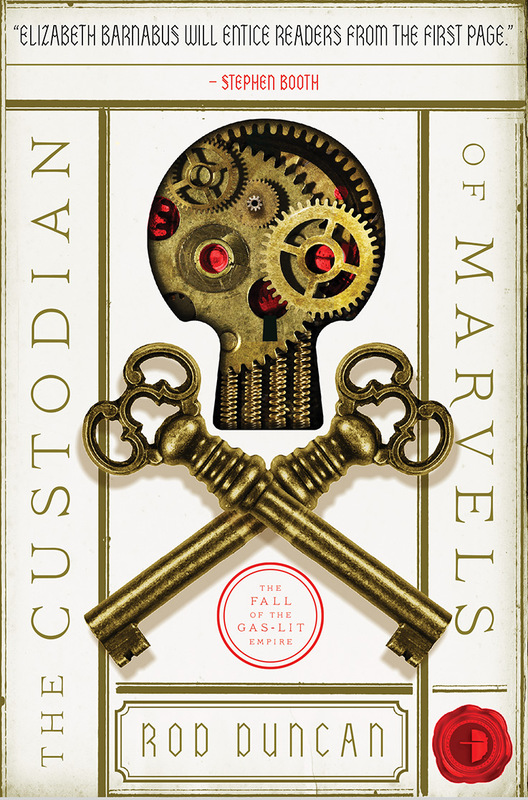 The Custodian of Marvels is coming off of a rocky second book for me, but I am just excited more to see if we are able to recapture the brilliance of The Bulletcatcher's Daugther. The second cover reveal comes from Kevin Hoffman with the release of his second book in the Sigilord Chronicles. The unfortunate part with this one however comes from a lack of a release date still. I'm sure it will be in the new year, but it may be considerably into the new year with no clues on publication on his page yet. Hopefully the lack of posts means he is buried deep in some corner working hard on The Blood Sigil. My third cover reveal is possibly my complete favorite of them. I was already super amped for Traveler (number 2 in the Seeker series) coming January 12, 2016 from Arwen Elys Dayton. But now I present you with the cover for the short story that we will receive in between!! The Young Dread will be available November 12th. Okay, okay, enough cover reveals for now. Check back with me next week for some BIG reviews and ever Bigger news.